When CitiField opened, many fans griped that the stadium did not have enough "Mets" to it. For sure, Mets imagery and even blue and orange were scant. And a grand entrance dedicated to a man who had never even donned a Mets uniform led many fans to say that owner Fred Wilpon had built a shrine to the Brooklyn Dodgers, instead of the New York Mets. 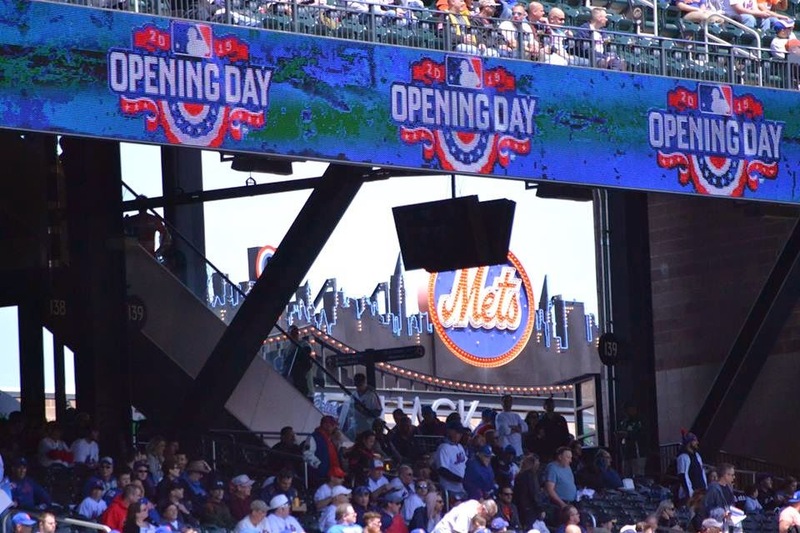 Over time, CitiField has been "Metsified" - a Mets Hall of Fame was built, the outfield wall was painted blue, and murals were installed, among other things. The stadium feels much more like the home of the Mets than it did in 2009. But the Jackie Robinson Rotunda lives on. On Opening Day we entered through that very rotunda. Usually I like to enter the stadium through the less-crowded Left Field Gate, the "Endy Chavez Rotunda," if you will, but for some reason we chose the main entrance on Opening Day. I was paying too much attention to grabbing my magnetic schedule and figuring out which escalator to take to our seats to pay much attention to what was around me. But my seven year old son took notice. Half way up the escalator he asks me, "Dad, who is that guy in the picture where it says "COMMITMENT"? "Oh! That's Jackie Robinson! He was the first black baseball player in the Major Leagues, and a really great baseball player." My son had heard of him. I didn't give the moment another thought until we got home. 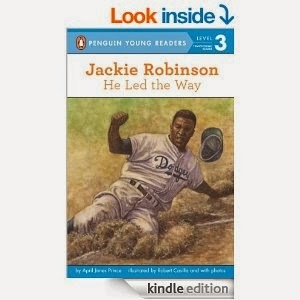 That night he grabbed a book about Jackie Robinson he'd received as a gift some time ago and hadn't bothered to read. That night he wanted to read it at bedtime. The story resonated. 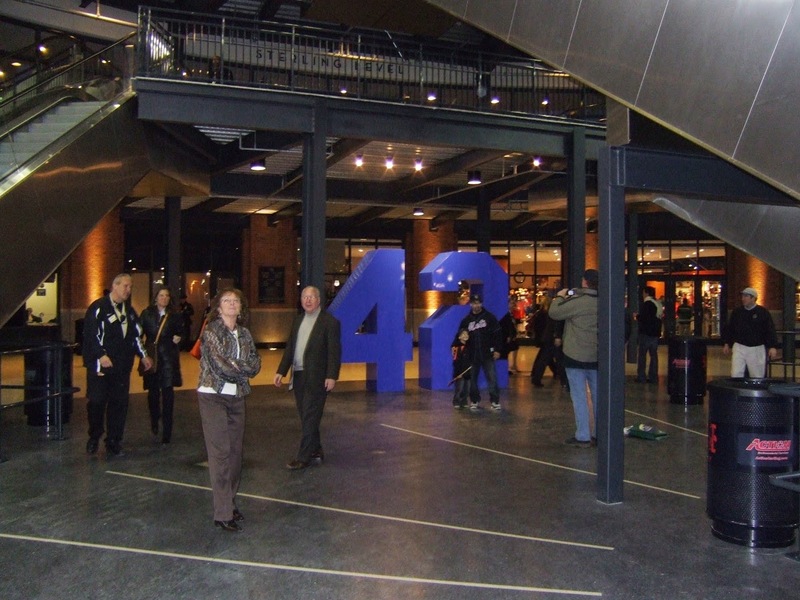 That was when I realized the importance of the Jackie Robinson Rotunda, and why Fred Wilpon wanted it to be part of the Mets new home. Jackie Robinson broke the color barrier 50 years ago, and his legacy will only live on with effort. My family had a great time at the ballpark on Opening Day, getting to see the Mets win their first home game of 2015. I had pulled my son out of first grade that day to attend Opening Day. And even if his teacher isn't a baseball fan, we'll agree my son got an education to go along with the thrills of the afternoon. 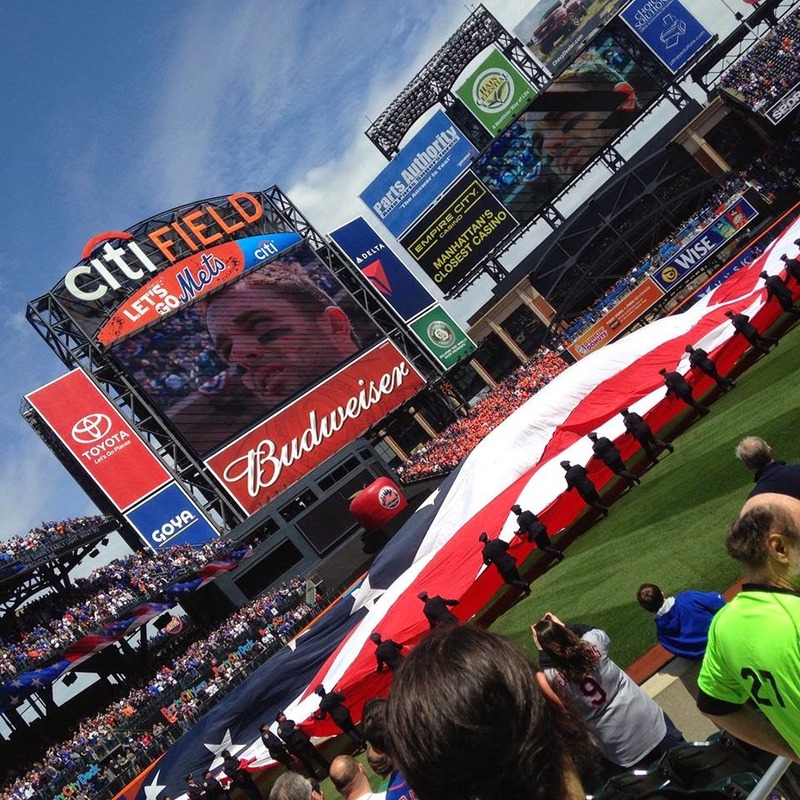 CitiField was absolutely electric for Monday afternoon's 2015 Home Opener. Opening Day is always special to me (I haven't missed one in over 25 years), and this was one of the best. The weather was perfect and the place was packed with Mets fans, setting up a perfect Opening Day. Let's face it - most of the time these situations do not work out well. How many times can we think of over the past few decades where the Mets have come up small in the big moments? I do not remember a buzz ever this strong at CitiField, not even for the first game ever, when Mets fans mostly milled about their new surroundings rather than focusing on the game at hand. I pulled my 7 year old son out of school for his first Opening Day, and brought my dad, who had himself taken me to many Opening Days when I was a kid. My college buddy and perennial Opening Day partner joined us as well. I drove up from central New Jersey, heeding the Mets' advice to arrive early, and my dad took the LIRR in from the Island. My college buddy did not get to the park early enough to avoid being sent to Guam to find a spot and parked so far away he had to take a shuttle bus in from the satellite lot. Despite the monster crowd, we made it through the Jackie Robinson Rotunda lines OK, got patted down and wanded as usual (metal detectors were nowhere in sight), were handed our magnetic schedules, and made it to our seats in time for the Opening Ceremonies. 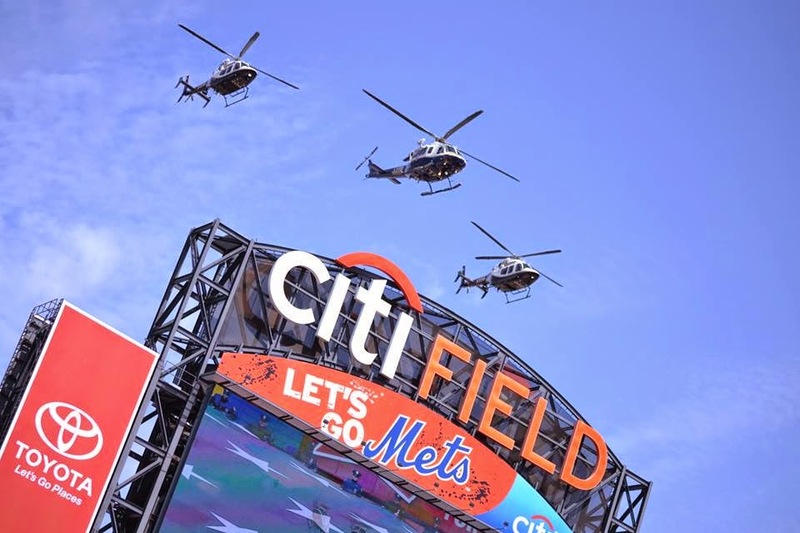 The pregame ceremonies were a tribute to fallen police officers, featuring a mammoth American flag in center field, a helicopter flyover, and a wonderful rendition of the National Anthem performed by a uniformed officer. 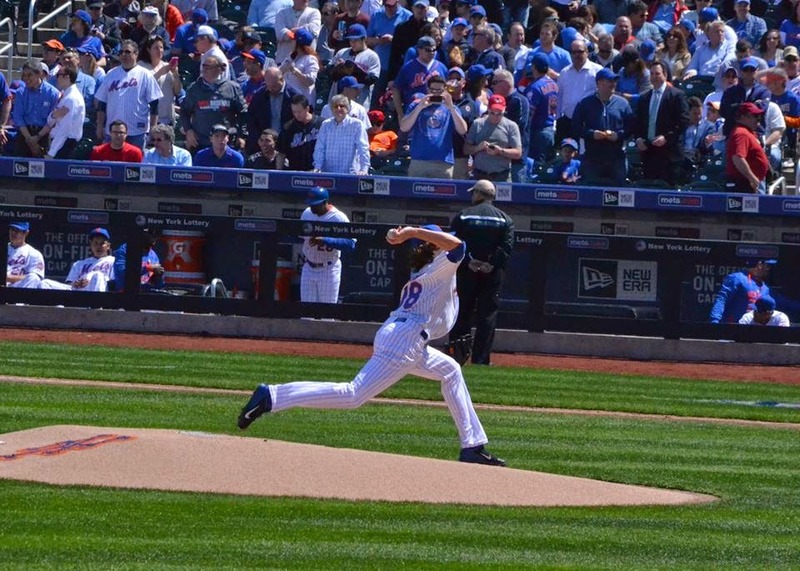 Many people griped about Matt Harvey being held back from the home opener, but Jacob deGrom is electric, and I don't think fans were shorted in any way by having the reigning Rookie Of The Year get the first home start of 2015. My kid was into the game from start to finish. He asked me for some ice cream during the 5th inning, and astonishingly I was able to run to Mister Softee and back, retrieving a helmet sundae resplendent with orange and blue sprinkles, only missing a couple batters. We even made a bathroom run in the 7th without much delay. And if that weren't enough I was thrilled when a beer vendor walking the aisles had a Brooklyn Summer Ale in his tote. A legit brew without waiting in line? Nice. The game was a nail-biter, and the crowd was into it from start to finish. A 2-0 win capped by a tense Familia save made for a perfect afternoon - one that I will never forget. Thanks New York Mets. You did it right this year. Rather than offering a "hot take" on the news that Mets closer Jenrry Mejía has been suspended 80 games for use of a PED, I tried to do a little research on the matter. And of course, by research, I mean searches on Google and social media. What did Mejía take and why? It was a mistake on my part. It was very bad judgment and I've been regretting it ever since... I just want to apologize to everyone I've disappointed... I don't want to come off as a wrong person and to be labeled a cheater. It wasn't like that at all. I deeply regret what I did. " According to Sports Illustrated, Rollins attributed the decision to an attempt to relieve soreness he felt in his throwing arm. Coincidentally, perhaps, just a few days before being suspended, Mejia was placed on the 15 DL with elbow inflammation. "I think it's irresponsible to put something in your body and not consult with your trainers. You can't take that lightly as a player"
"This kid #Mejia probably didn't know about the medicine. I'm almost sure he doesn't speak English. Players need to go to orientation meeting"
I think it is a bit bananas to insinuate that not speaking English exonerates Mejia in any way, but I did notice that 3 of the 4 pitchers were Latin. Maybe "Minstrel" in Spanish means "jellybean"? 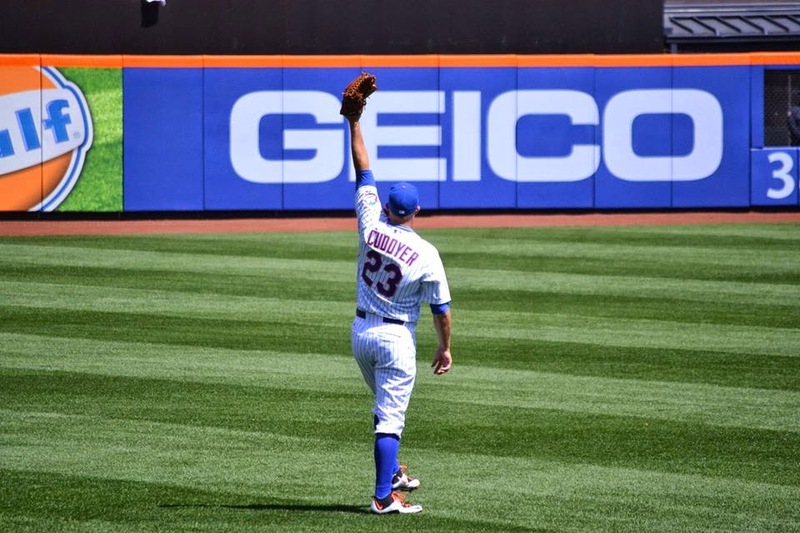 What does this mean for the Mets? David Wright and other Mets were reportedly seriously frustrated and disappointed in Mejia. Having to find a new closer certainly makes it more of a challenge for the Mets to achieve their postseason aspirations. On the other hand, Parnell will be back soon and many have believed de-facto closer Familia has more upside for the closer role anyway. To me, the worst part of this development is what it means for Montero. With Familia taking the 9th, it means Montero's arm needs to stay in the bullpen for now and can't replace Dillon Gee in the rotation if Gee struggles. Many believe Gee only won the 5th spot in the rotation to better showcase him for a trade. But now and for the foreseeable future, Gee isn't going anywhere. Let's hope the Mets still are.